Mr. Horeczko has been defending individuals charged with criminal offenses for over a decade. He represents clients in California state criminal cases as well as criminal matters in the federal courts. Mr. Horeczko’s criminal defense practice encompasses the handling of all criminal charges, with an emphasis on representation of individuals charged with firearms offenses and serious felonies. Prior to starting in criminal defense practice, Mr. Horeczko prosecuted criminal matters as a Deputy District Attorney for the Los Angeles County District Attorney’s Office. Mr. Horeczko began his legal career representing law enforcement entities, police officers, fire departments and firefighters. During his years as a prosecutor and defense attorney, Mr. Horeczko has successfully tried dozens of cases to a jury, including a large number of criminal cases where the defendant faced life in prison. Mr. Horeczko received his bachelor’s degree from the University of San Diego where he also was a member of the University’s football team. Following a year on the coaching staff of the University’s football team, Mr. Horeczko attended and graduated from Southwestern University School of Law. While attending Southwestern University School of Law, Mr. Horeczko was a member of the Interscholastic Trial Advocacy Program and eventually was elected Chairman of the Program. 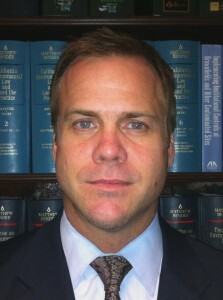 Mr. Horeczko has been recognized as a Southern California Super Lawyers Rising Star for the years 2005 through 2010. According to publication Law & Politics, Rising Stars are among the best in their profession and are limited to 2.5% of the outstanding emerging lawyers in Southern California who are under the age of 40 or have been practicing 10 years or less.